At TS Freight, we offer our customers completely integrated cargo shipping to Australia services, which have been customized to suit their individual needs. Our team of trained professionals arrange for cargo shipping from China by assuring collection, processing, documentation, handling, shipping to Australia and finally ensure that all your precious cargo has been delivered to the final destination in Australia. We ensure that all international custom clearance is taken care of, and that the cargo is packed and transported without any delays or damages incurred. 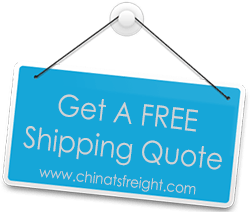 We understand better than anyone how cumbersome and lengthy international freight shipping from China to Australia can be. This is why, we have created a highly streamlined process that takes a step by step approach to ensure that the cargo is efficiently collected from our client in China, and safely delivered to the destination in Australia, with the least number of steps involved. We have trained our staff to professionally and meticulously carry out this process so that we can offer to our clients speed, agility and efficiency for all their logistic and transportation needs. The ten years of experience that we have garnered in the logistics and freight shipping industry has given us the ability to foresee any glitches in your order, should they occur, and handle them promptly to avoid delay in shipping.